Are you a fan of optical illusions? 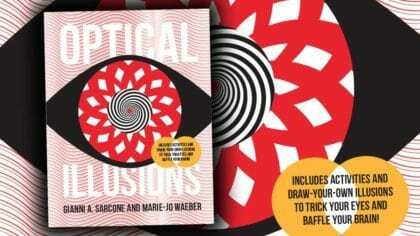 Check out the new book ‘Optical Illusions’ from QED Publishing! The brain is an amazing thing, but it doesn’t always get things right when it comes to sight! Templates included at the back of the book reveal answers and aid the creation of astounding illusions. There are loads of chances for you to get hands-on with the illusions, with step-by-step experiments, or tips on how to draw your own “moving” optic art on paper or on the computer!